Adam Fane (Man 2) is thrilled to join the cast of First Date! Credits include: Rock of Ages (nat'l tour); Mary Poppins (Paramount Theater); Gypsy and Shrek the Musical (Chicago Shakespeare); Alice in Wonderland (Marriott Theatre); Signs of Life-Reading (Victory Gardens); Spring Awakening (Griffin Theatre Company); Hello Again (Bohemian Ensemble); Chicago (Mason Street Warehouse); Avenue Q (Jeff Nomination, NightBlue Performing Arts); and most recently Rod, in Mercury Theater Chicago's long-running Avenue Q. Adam holds a degree in Musical Theatre from Roosevelt University. He sends love and thanks to his supportive family. He would also like to thank J.R., Liz, and his agents at Gray Talent. Anne Litchfield Calderón (Woman 2) hails from Flossmoor, IL and now lives in Lakeview with her husband, Fidel, and her dog Bella! Anne attended Indiana University where she double majored in Theatre & Drama, as well as Communication & Culture, and just wrapped up her Master's Degree at DePaul University in Secondary Education. She is currently working at Homewood-Flossmoor High School. Anne was most recently seen as Elle Woods in Legally Blonde, Jenny in Company, Susan in Title of Show, Holly in The Wedding Singer and Maureen in RENT. Anne wants to dedicate this show to her husband... without that first date, I would have missed out on the best thing in my life. John Keating (Man 3) couldnʼt be happier to join the cast of First Date! 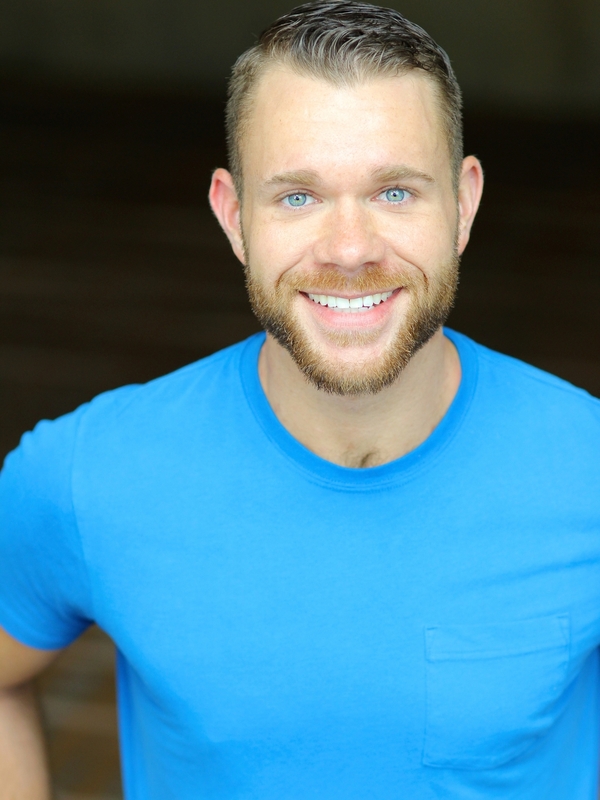 Since moving to Chicago in 2012, he has performed with Griffin Theatre, Porchlight Music Theatre (Jeff Nom 2014), Broadway in Chicago, The Goodman Theatre and The Black Ensemble Theatre. Regionally, he has been seen at the Oregon Cabaret Theatre, Prather Entertainment Group, PCPA Theatrefest, Chanhassen Dinner Theatres and The Great American Melodrama. He holds a BFA in Musical Theatre with a minor in Dance from the University of WI - Stevens Point. Thanks forever to my Mamma and YOU for supporting the arts! Elissa Newcorn is thrilled to be a part of First Date! Favorite Chicago credits include The Last Five Years (Metropolis Performing Arts), HMS Pinafore (Light Opera Works), The Frog Prince Cont’d (Emerald City Theatre), Caucasian Chalk Circle (Promethean Theatre Ensemble), and Reefer Madness (Circle Theatre- Jeff Nomination, Best Musical). She is also a member of the Chicago Cabaret Professionals and the Chicago Artists Chorale. Love and gratitude always to M, D, and S.
Andrew can’t tell you how happy he is to be a part of First Date! Other Chicago credits include Assassins (Kokandy); Time After Time: The Songs of Jule Styne and A Very Merry Madrigal (Theo Ubique); Spamalot and Songs for a New World (NightBlue); and will be appearing next in City of Angels with Porchlight Music Theatre. A huge thank you to J.R., CPAZ, this cast and his family. Elizabeth Doran is a Chicago-based music director. Credits include: Titanic (Griffin Theatre), Juno (Timeline Theatre), Kiss of the Spiderwoman (Boho Theatre), and The Gifts of the Magi (Porchlight Music Theatre). She has also assisted on Jungle Book (Goodman Theatre and Huntington Theatre), A Catered Affair (Porchlight Music Theatre), Porgy and Bess (Court Theatre), A Grand Night for Singing (Mercury Theater), and Some Enchanted Evening (Theo Ubique/Fox Valley Rep). Proud graduate of Northwestern University. Love and thanks to the fam and John. *denotes member of Actor’s Equity Association, the union of professional actors and stage managers in the United States.